GENTLE ILLUMINATION – This softly glowing tyrannosaurus rex will be your new favorite sleepy-time friend. 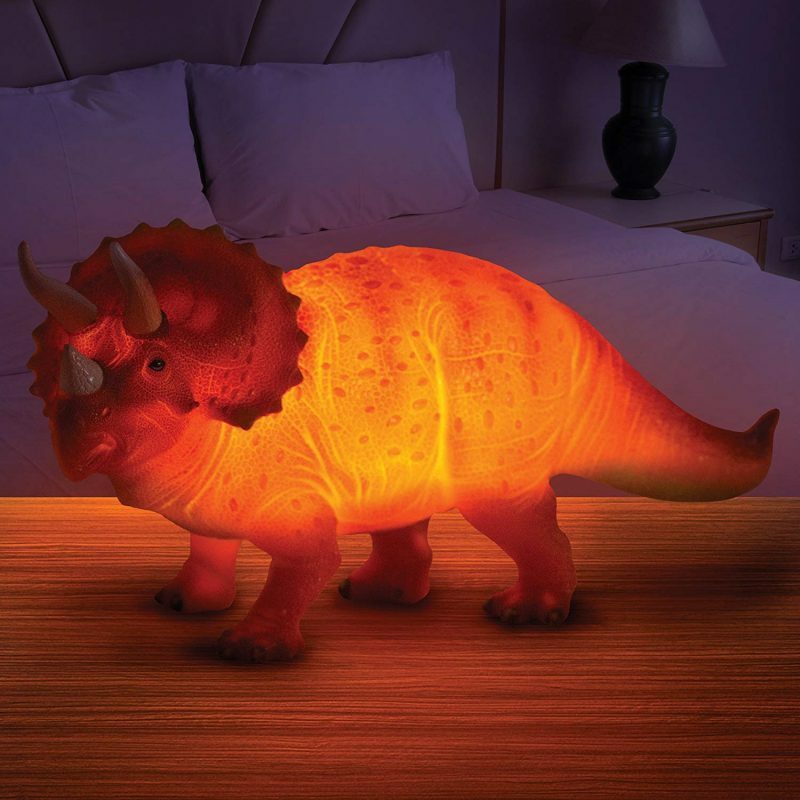 This dinosaur lamp casts the perfect amount of light to encourage restful sleep while creating enough light to move safely around a room. 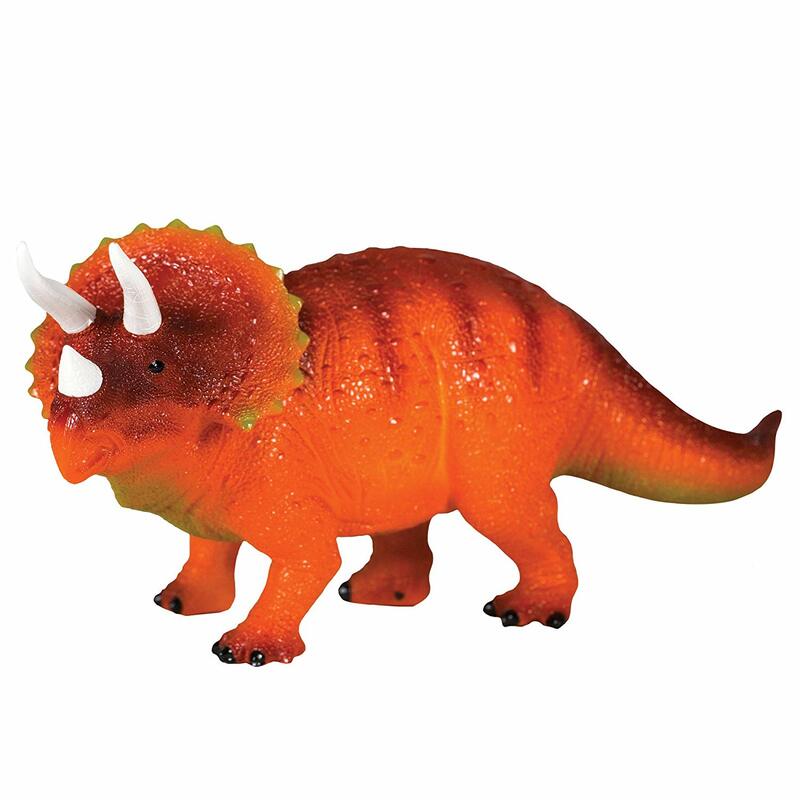 EASY PLUG-IN AND SWITCH FEATURE – The dinosaur lamp comes with a 5ft power cord and easily accessible on-off switch. SAFE AND DURABLE – The thick plastic exterior and internal LED light make this dino the perfect bedroom companion for any child. Tags: Night light, decor, Triceratops.